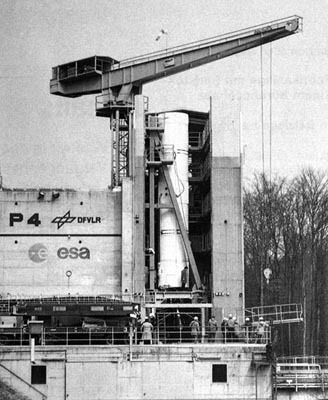 In 1983, working as a consultant in the steel industry, Gerhard Haag designed the framework for the testing launchpad for the power drive of the ARIANE 4 rocket. The rocket had been contracted to the German Research Center for Aerospace Engineering (DVFLR) in connection with ESA – European Space Agency. After completion of the design the launchpad was erected in a low mountain range of South Germany and the power drive was tested successfully. The results gained from these tests were used for the final design of the rocket itself.